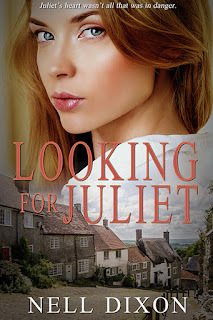 Looking for Juliet release day! Looking for Juliet - Cover reveal! Releasing on the 18th July form all good e book retailers! Cover coming soon! The rough draft for The Grown-up Girls Club is finally done. Now it needs to sit for a while before I edit it. I also have a release date for Looking For Juliet - this will be out from Clean Reads on July 18th! exciting! Can't wait to see the cover so i can share it with you. The new story is now at 58k, approximately 10k will finish this draft and then the rest will come in the editing process. I already know there is a lot of tweaking to be done. This story is very different to my usual books and will probably go out under a different name. It's quite dark in places and the characters are not always very likeable or easy to empathise with. I celebrated my birthday a few days ago and, since we've also been remodelling the house, we thought it was a good idea to have some friends around. Not for any special reason but because too often we keep putting things off, not getting together with people we love because there is always plenty of time. Except time is a strange beast and it slips away from us very easily. So, tonight a group of us will be making that time and catching up with one another. Who would you like to catch up with most and why? Hot Sheikhs and Stepbrother Romances - FREE in KU! There’s Something About Nik has released!!! !